Welcome to the Red Peters Karaoke web store! 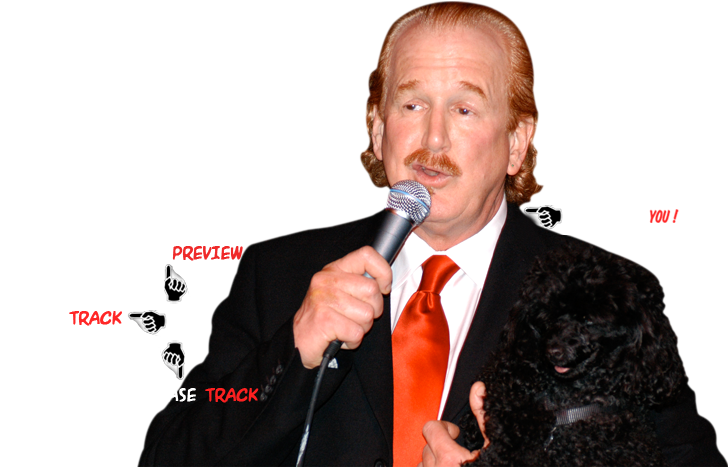 You all know Red Peters from his appearances on the Howard Stern Show and his special on Howard’s SiriusXM radio channels. We have collected up the most requested Red Peters tracks and made Karaoke versions just for you and your next party. The tracks are available in a variety of formats. Just select the track from the listing on the left, enjoy the sample video and select your format from the menu below the track listing. From there add it to your cart and you can easily pay with PayPal. If you have any questions, just drop us an email at getinfo4@oglio.com. Thanks for shopping and Get the F**k Out!